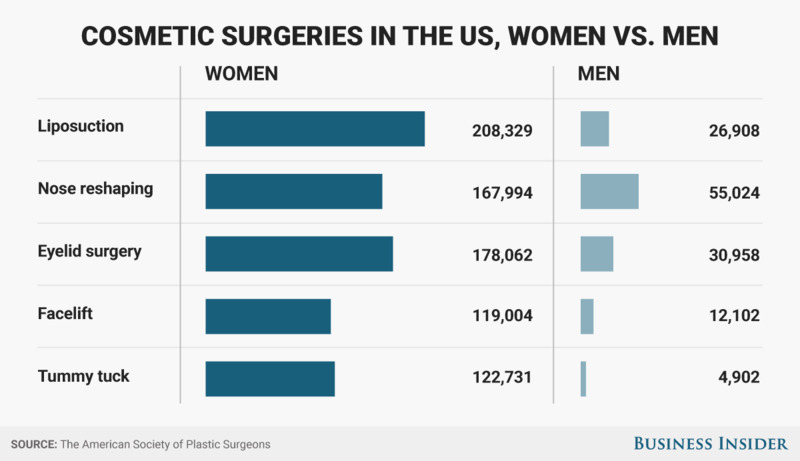 Say what you will about nips, tucks, and implants, but the popularity of plastic surgery in the US continues to soar. 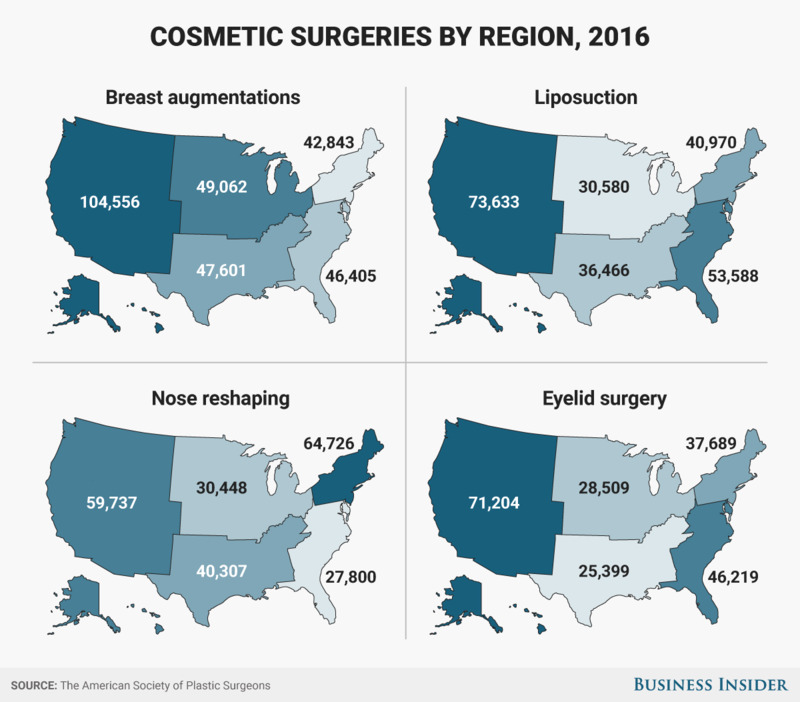 According to new data provided by the American Society of Plastic Surgeons, cosmetic surgery has seen explosive growth in the US. Between 2000 and 2016, there's been 132% more procedures — and that number doesn't include reconstructive surgeries in response to injury, disease, or gender confirmation. 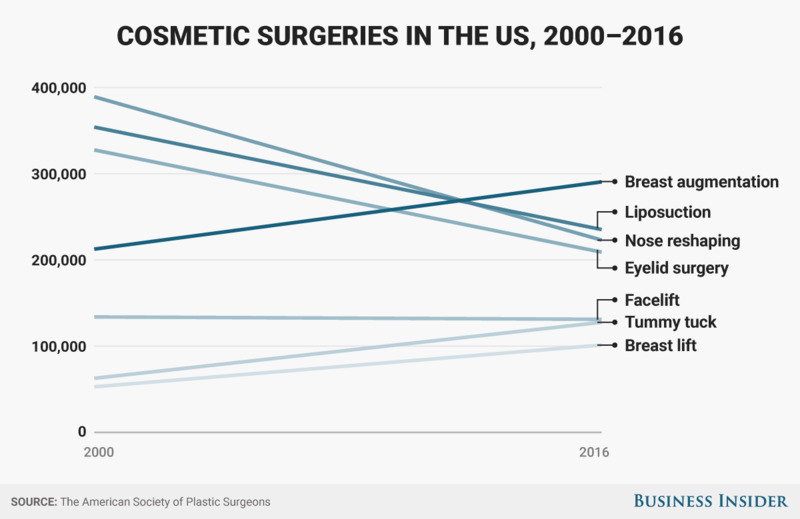 Gains in procedures were modest from 2015 to 2016, however, with a 4% year-over-year increase in cosmetic surgeries (such as liposuction and breast augmentation) and a 3% jump in "minimally invasive" procedures (such as Botox injections and laser hair removal). 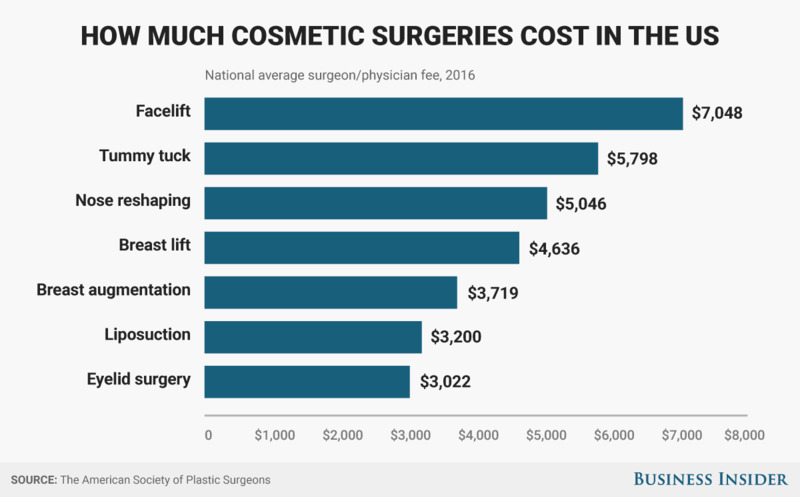 While only 10.4% of the 17.2 million total cosmetic procedures in 2016 were surgical, those invasive operations added up to a cost of $8.05 billion, which is nearly half of all money spent that year in the industry. Here are the most popular invasive procedures Americans had done and how much they spent on them. 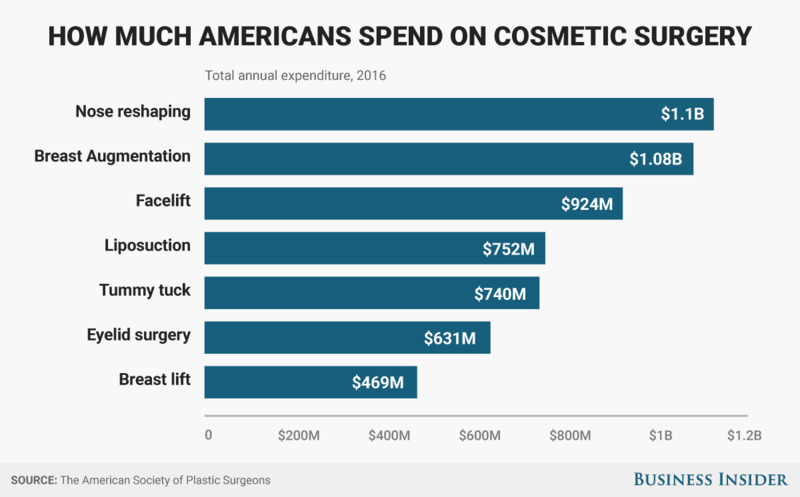 Americans spent nearly $1.1 billion on nose-reshaping rhinoplasty in 2016. While the western US had the most plastic surgeries, the northeast US won out on rhinoplasties. American men claimed 13% of the 1.65 million invasive plastic surgery procedures in 2016 — a jump of 28% compared to 16 years ago. The popularity of breast augmentations climbed about 50% from 2000 to 2016, while the number of eyelid surgeries has declined by nearly half. 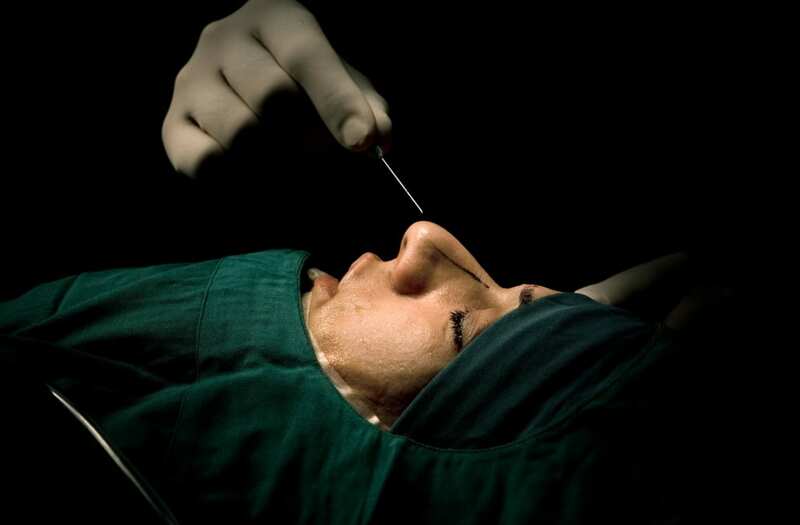 On average, face-lifts were the most expensive form of cosmetic surgery per procedure.